There are many initiates and programs put in place to give special attention to disability and to make life easier for the disabled people in the UK. This goes from financial to social provisions, among others. Here are the top three programs available to persons with disabilities. this is a major help area made available for persons with disability. The government provides grants and allowances in various areas of need for the disabled. PIP provides extra money to assist disabled persons in their daily living. PIP provides extra funds to make up for extra costs expended on long-term disability and ill-health. Even if you are employed or are receiving some other benefits, you can get PIP on top of these benefits. Whether you work or don’t, you can still claim PIP benefits as a disabled. The major eligibility requirement is ages 16 up to 64 years. If you need assistance with your daily tasks and getting needs met. You are a resident of any of England, Wales or Scotland and have lived there for an upward of two years. There are exceptions to this rule if you are a member of the armed forces or suffering from a terminal illness. PIP provides extra money to assist disabled persons in their daily living. You can get a PIP payment of between £22 and £141.10 a week. The total amount you are able to receive is subject to how your condition affects you and not the nature of the condition itself. A medical professional will carry out a thorough examination on you to ascertain the level of help you’d need. You also get regular reviews of the rate paid to you. If you are paid Disability Living Allowance, you can keep on with it if you are under 16 or if you were born before April 8 1948. You will continue receiving this until you are invited by the Department for Work and Pensions to apply for Personal Independence Payment funds. Disabled persons in England, Scotland and Wales can no longer enjoy Disability Living Allowance (DLA) since June 10, 2013 except persons less than 16 years of age. 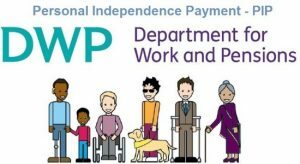 PIP is the replacement for this allowance and DWP will guide on how to move over to PIP benefits. Finally you will be called for a one-on-one assessment if you are not terminally ill. Disability premium is an amount added automatically to a disabled Income Support or Jobseeker’s Allowance if qualified to benefit from it. The allocated amount for a single person is £32.55 for a single and £46.40 for couples. The Severe Disability Premium and Enhanced Disability Premium afford the beneficiary to enjoy more benefits if qualified. To qualify to receive Disability Premium, you should not be benefiting from similar income-related benefits like ESA (Employment and Support Allowance) but may still receive the Severe Disability Premium. Disabled persons often times may not easily find employment and if they do, getting along well with other staff may not be the case. The UK government has some worthwhile packages for work related issues for persons with disabilities. Here is an initiative to make things better for disabled persons. Specialist Employability Support is a program that offers mentoring and training courses to help disables find employment. If you have a disability, this is the right programme to find help if other government programmes such as Work Programme, Work Choice and Access to Work can’t provide the needed help. The start Back provision is an aspect that provides intensive and appropriate training and support for an upward of 6 months. The Main Provision provides a long-term training and support for a longer duration agreed upon. To apply for this programme, you can contact the local jobcentre in your community.